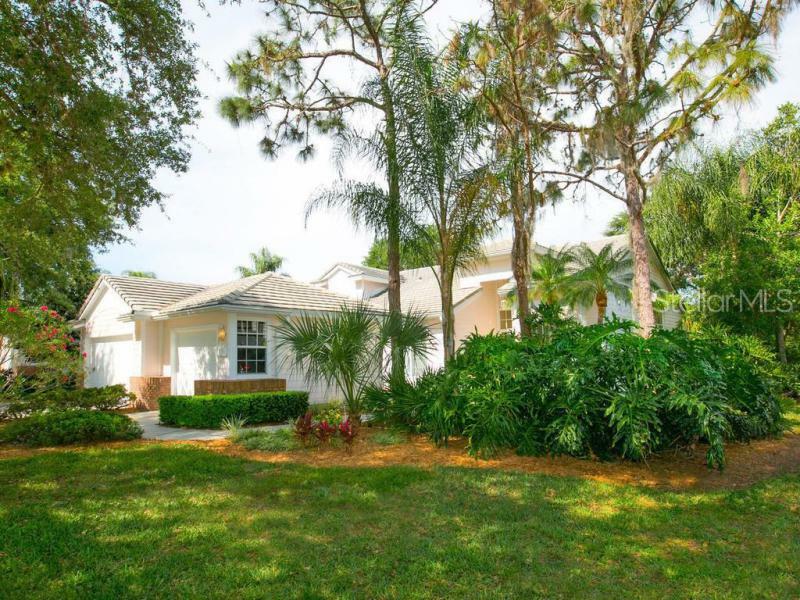 As you step through the garden courtyard of this updated villa, it welcomes you with an open floor plan, high ceilings and a beautiful view of the lake and the treed backdrop. Located within steps of the newly renovated neighborhood pool and a leisurely walk to the club house, fitness center and pro-shop. Recent updates include interior paint,new flooring and window treatments, new kitchen appliances, washer& dryer, new garage door and opener. Enjoy watching the aquatic wildlife from your covered and screened lanai or from the open deck beyond.University Park Country Club is a short drive away from UTC Mall,shopping and dinning corridor. Minutes away from Sarasota airport and I 75 and a short drive away from downtown Sarasota.Whitebridge Court is a landscape maintenance free neighborhood.